Solar loans are a key financing component for many residential solar power system installations. A solar power loan can help you finance a solar project that is too expensive to pay for with cash. 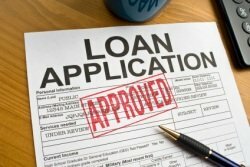 There are different types of loans you can use for your project. Some are offered by traditional banks whereas others are offered by manufacturers and suppliers of solar systems. Is your home worth more than you owe on it? 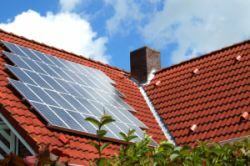 If so, you may be able to use a home equity loan to finance your solar energy system. Since a home equity loan uses your home as collateral, the bank considers it a low risk loan. As a result, they are willing to charge lower interest rates than with other types of loans. In addition to having a lower interest rate, as a homeowner, your loan may also be tax deductible. 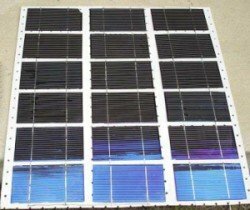 Manufacturers and suppliers of solar equipment sometimes offer financing as an incentive for homeowners to purchase a solar system from them. This type of financing is known as a supplier loan. With supplier loans, it's important to understand that the solar equipment is used as collateral for the loan. 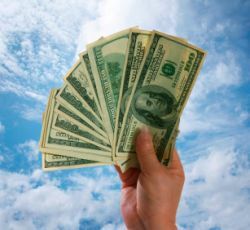 Since the solar equipment is the collateral, if you stop making payments on the loan, the equipment may be repossessed. Rates for this type of loan will vary. They are generally supplied by a third party, with the supplier simply acting as the sales intermediary. But many times they will have very good terms in order to provide a nice incentive for the homeowner to purchase their solar solution. Another loan option for purchasing your solar system is a consumer loan. A credit card is a good example of a consumer loan. The nice thing about these types of loans is that they don't require any collateral. However, there is a downside to them as well. Since they don't require any collateral, banks consider them riskier than other types of loans. As a result, they usually have higher interest rates. In addition to paying higher interest rates, another disadvantage of consumer loans is that you aren't able to deduct them from your taxes. A fourth type of solar loan you may be able to get is an Energy Efficient Mortgage (EEM). This type of loan can be used to include upgrades to a new or existing home that will improve its energy efficiency. One of the key advantages of an EEM for homeowners is that you will be able to increase the amount of money you qualify for on your mortgage. The reason for this is that since your home will be more energy efficient, you will be spending less on your utilities which will free up more of your income to pay on a mortgage. Understanding what solar loans are available for you is crucial for building the right mix of solar power financing and incentives.